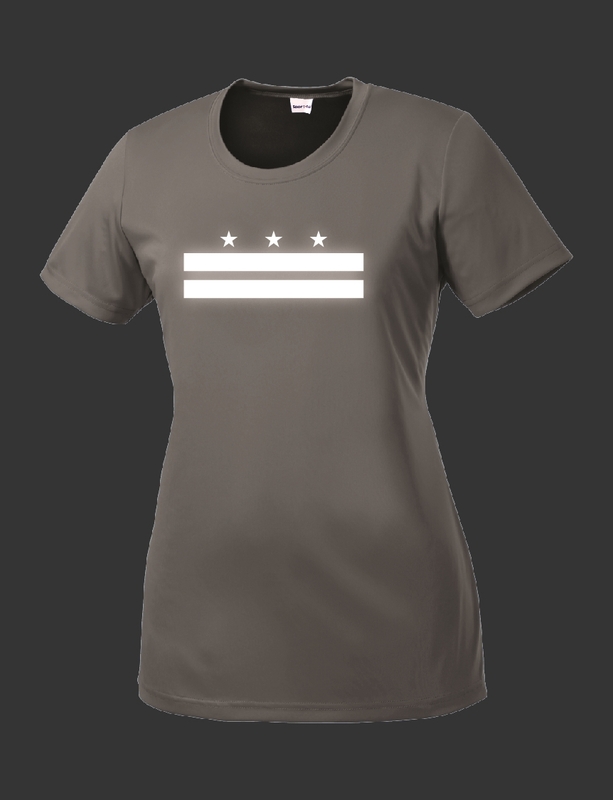 Rep your city and ride safely with our navy blue DC flag reflective t-shirt. 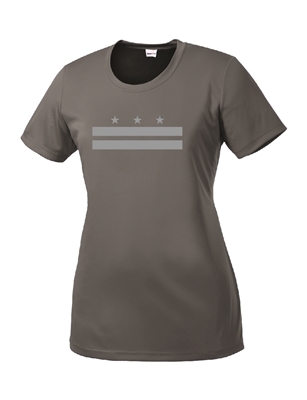 Features the DC flag on the chest in reflective ink, so it becomes highly visible when light shines on it. 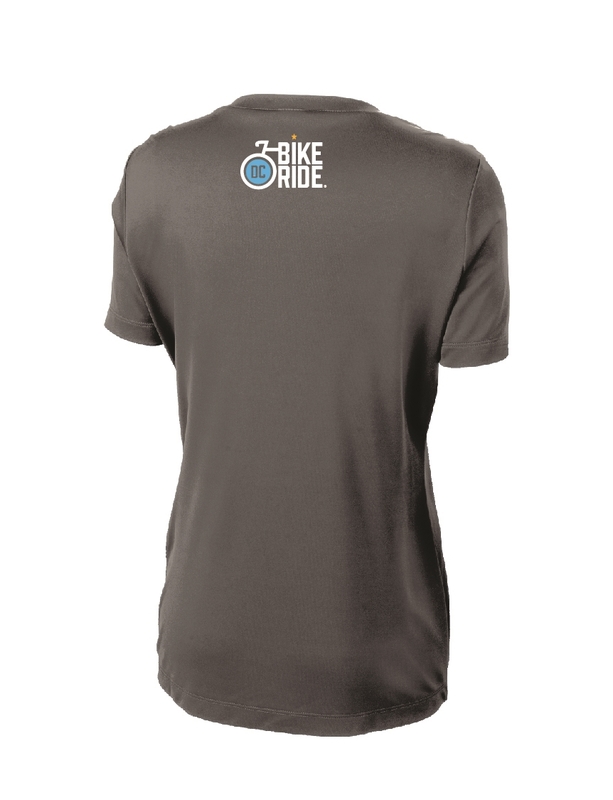 The back features the DC Bike Ride logo on the upper back. This is a ladies cut t-shirt.